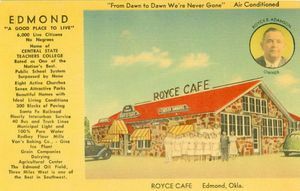 Postcard of Edmond, Oklahoma, with a description of the town, ca. 1940s. 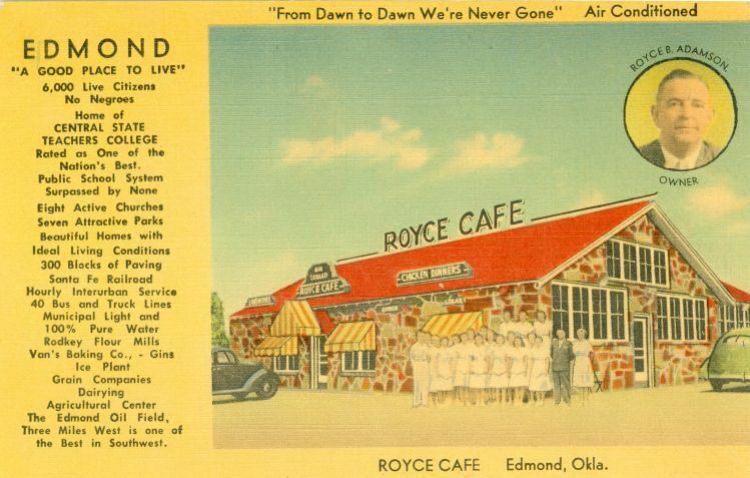 66postcards.com, “Edmond Postcard,” Making Modern America, accessed April 26, 2019, http://newdeal.oucreate.com/items/show/1084.